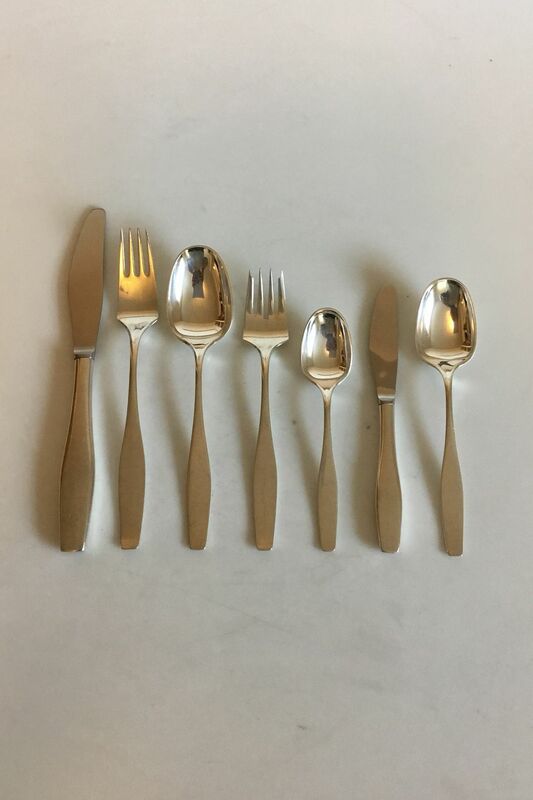 Hans Hansen Sterling Silver Charlotte Flatware set for 8 persons, 56 pieces. 8 x Dinner Knifes, 21 cm / 8 17/64 in. 8 x Dinner Forks, 18.7 cm / 7 23/64 in. 8 x Dinner Spoons, 17.5 cm / 6 57/64 in. 8 x Salad Forks/ Fish Forks, 16.3 cm / 6 27/64 in. 8 x Tea Spoons, 13.7 cm / 5 25/64 in. 8 x Child Knifes, 15.8 cm / 6 7/32 in. 8 x Child Spoons, 15.6 cm / 6 9/64 in.